It’s been around since the Super Bowl was first played in 1967, three years before the merger of the American Football League (AFC Conference) and the National Football League (NFC Conference). The indicator suggests that when an NFC team wins the Super Bowl, the Dow Jones Industrial Average will end the year in positive territory; if an AFC team wins, it will finish the year in negative territory. Over the last 51 Super Bowls, the indicator’s been correct an impressive 75% of the time. It’s not a scientific indicator, I’ll grant you, but it’s a great way to get investors talking about the big game. This year, the NFC is represented by the Philadelphia Eagles while the AFC is represented by the New England Patriots. Apparently, there’s a second indicator floating about, that says when the Dow closes in positive territory for the first five trading days in a given year, it closes in positive territory at the end of that year. Guess what — the Dow did that in 2018. That means I’m going with an NFC victory in Super Bowl LII. That’s good news for companies doing well, but not so good for those that are struggling. Based on my prediction, here are my 10 Super Bowl stocks to buy and sell once the game has been played. 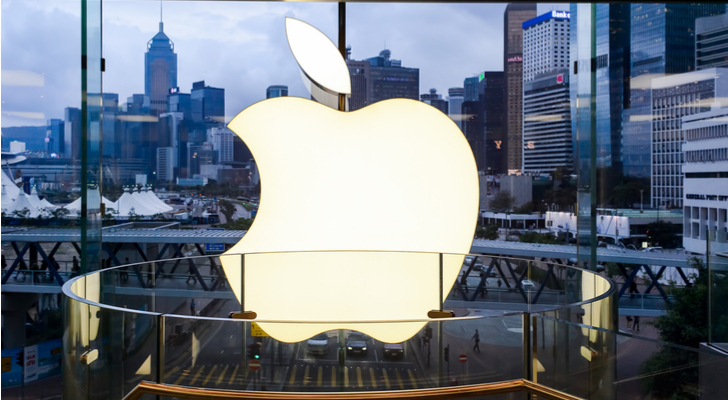 Apple Inc. (NASDAQ:AAPL) is on many lists of stocks to buy regardless of what happens at this year’s Super Bowl. Given it will repatriate more than $250 billion in cash at the favorable tax rate of 15%, 600 basis points less than the permanent new corporate tax rate of 21%, the momentum it carried into 2018 will continue regardless of the final result. I was a tad optimistic about Apple stock and the impact the iPhone X would have on its share price when I wrote about the subject in late October. Despite some in the media being critical of the iPhone X, and rumors about the phone being discontinued, I still see Apple having enough jam to blow through $200 in the first half of 2018. With more than $200 billion in cash to play with after paying $38 billion in tax, Apple’s going to have some fun spending it in 2018 and beyond. Constellation Brands, Inc. (NYSE:STZ) hasn’t started out 2018 on a high — STZ is down 4% year to date — but it will get the motor revving in due time. It’s got too many good things going on not to deliver a seventh consecutive year of winning returns for shareholders. Of course, the most exciting piece of news at Constellation in 2017 was its $191 million investment in Canopy Growth Corp (OTCMKTS:TWMJF), Canada’s largest cannabis company. Constellation bought a 9.9% stake in the Canadian business, but more importantly, is partnering with it to make cannabinoid-infused drinks, adding to its line-up of beer, wine, and spirits. Now that it’s a quadruple threat, the markets will start speculating about how far Constellation Brands is willing to go in the fast-moving marijuana industry. With interest rates rising and its stock trading near an all-time high, Constellation’s stock’s become currency for future deals. I hope I don’t regret this, but in a toss-up between Best Buy Co Inc (NYSE:BBY) and Amazon.com, Inc. (NASDAQ:AMZN), I’m going with Best Buy because a hunch tells me that Jeff Bezos’s grand vision is going to hit some turbulence in 2018. As for Best Buy, I’ve been a big fan of CEO Hubert Joly since the day he took the job back in August 2012. Although some analysts were less than generous in their appraisal of the hospitality executive, I saw a person who understood that people combined with the right technology and infrastructure would be the key ingredients to turning around its struggling business. InvestorPlace’s James Brumley recently discussed how Joly’s turnaround has taken hold and could be the start of an impressive run of positive quarterly results that sends BBY stock even higher. That’s not bad for a stock that has averaged a 40% annual total return over the past five years. Two years ago, I’d have thought I was crazy picking BBY over AMZN, but no more. Best Buy is for real. 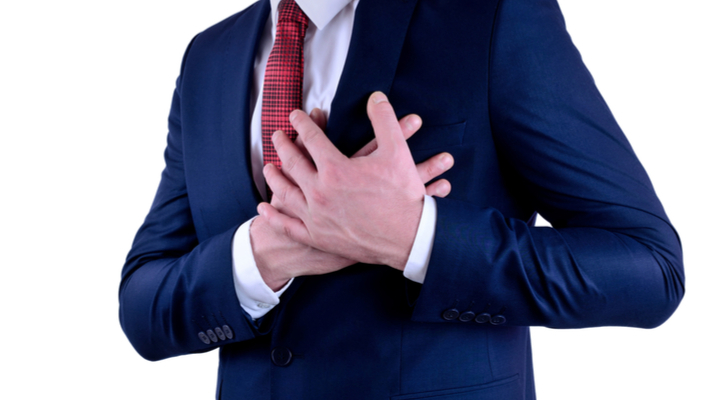 Quietly, Intuitive Surgical, Inc. (NASDAQ:ISRG) has gone on a bit of run the last couple of years and if its start to 2018 is any indication — it’s up 19% year to date — the next 11 months will be very exciting for shareholders. It seems like only yesterday that ISRG was losing its grip on the robotic surgery market. In March 2013, I recommended investors buy its stock only to see it drop precipitously over the summer as a whole confluence of issues put the scare into investors. ISRG is up 199% since July 2013, compared to 67% for the S&P 500, a run that’s likely to continue unabated for some time. I’m pretty sure that McDonald’s Corporation (NYSE:MCD) isn’t running an ad in Super Bowl LII, but there’s a good chance that you’ll be running out at halftime to get a Big Mac and fries to munch on while Justin Timberlake struts his stuff onstage. Of course, thanks to the company’s partnership with UberEATS — 10,000 U.S. McDonald’s locations offer delivery at the moment with the number expected to rise in 2018 — you might not have to leave your house to enjoy all the Golden Arches has to offer including its new $1 $2 $3 Dollar Menu. The beauty of its delivery initiative is that it will help generate dinner and late-night business for McDonald’s, the two parts of the day where it currently makes the least amount of sales. Even better, the company found that home delivery orders result in average checks that are double what they are in the restaurants, so all the work it’s put in to get delivery up and running should pay dividends for its stock in the years ahead. What happened to TripAdvisor Inc (NASDAQ:TRIP)? It seems like only yesterday that its review site was the talk of the internet because it was so helpful finding travelers decent hotels. I guess that’s what competition will do to you. Down 26% in 2017, TRIP stock is going to have to work harder if it doesn’t want to deliver a third consecutive year of negative returns. Now, it’s not as if TripAdvisor’s business has completely gone to the dogs — its revenue in the third quarter was 36 cents per share, a penny higher than analyst expectations on $439 million in revenue — but it is reorganizing its business units to reignite what once was a pretty good growth machine. The plan is to separate each of its verticals into separate profit and loss silos responsible for their own bottom line. That means vacation rentals, restaurants, flights, hotels and all the various other businesses it runs will have separate leaders charged with driving their units forward. While it’s a valiant effort, I just don’t see TripAdvisor regaining the place it held within the travel industry only a few short years ago. 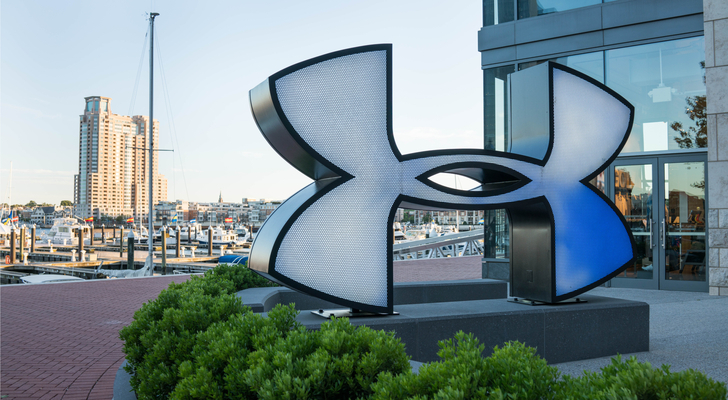 Under Armour Inc (NYSE:UA, NYSE:UAA) CEO Kevin Plank says he’s going to give up all of the distractions that have turned the athletic apparel and footwear company into a shell of itself in less than two years. As the story goes, Plank sent Mad Money host Jim Cramer a bottle of rye from his Sagamore Spirit distillery in Baltimore. After that, Cramer wrote back wondering what happened to the Kevin Plank running Under Armour, to which Plank responded that he would stick to his knitting and give up the quest to be everything to everyone. Personally, as Cramer says, you have to respect someone who can admit when they’ve taken their eye off the ball. But just because Plank’s able to recognize the errors of his way, it doesn’t mean he’s going to be able to right the ship. As I said in a recent article about Under Armour, its direct-to-consumer business isn’t doing nearly as well as it needs to revive UAA stock. Sometimes, when you let the genie out of the bottle, you can’t put it back in. Under Armour has scored a lot of touchdowns in the past but I don’t think there’s going to be too many heroics in the year ahead. It’s almost unthinkable that General Electric Company (NYSE:GE) could destroy as much shareholder value as it has since Jack Welch left the company in 2001, but that’s what’s happened, most of the destruction while Welch’s successor, Jeff Immelt was in the CEO seat. In Welch’s last year at GE, its stock hit an all-time high of $60.75. Since then, it has lost 72% of its value, only going lower than today’s levels during the economic crisis of 2008. Now, sitting at a six-year low having lost 42% of its value in 2017, new CEO John Flannery’s job is to turn off the lights and close the doors because the party’s over. 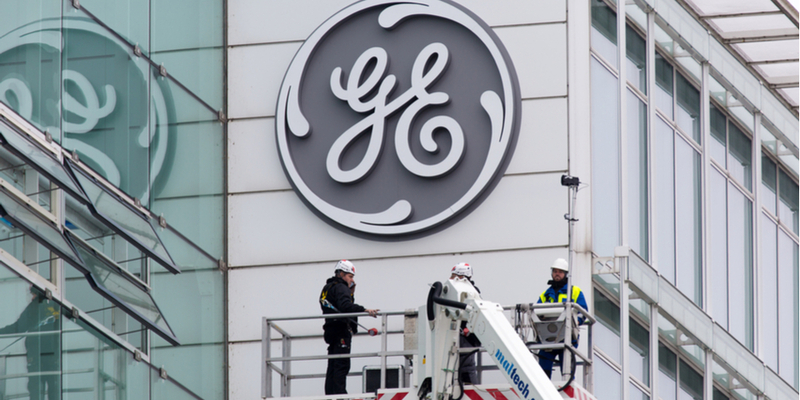 In recent days, the GE talk has turned to breaking up the industrial conglomerate by taking all of the remaining units public, piece by piece. As painful as that process might be, putting GE out of its misery just might be the best thing long-time shareholders can hope for. As I said last July, I just don’t see Flannery doing anything to right the ship. However, he might be able to break it apart. Thanks to three consecutive years with negative annual returns — down 5% in 2015, 23% in 2016 and 39% in 2017 — Signet Jewelers Ltd. (NYSE:SIG) has given back all the gains it generated between the beginning of 2013 through the end of 2015. Analysts have begun to lose their patience with the jeweler’s ongoing turnaround plan that’s not gaining traction, as evidenced by the retailer’s negative 5.3% same-store sales this past holiday season. Meanwhile, Tiffany & Co. (NYSE:TIF) saw its holiday same-store sales increase by 5%, a sure sign that one of the country’s best jewelry retailers is getting its mojo back at absolutely the worst time for Signet shareholders. I’m not sure who Signet’s going to take market share from, but it’s not going to be Tiffany, who are committed to delivering better a product and customer experience in 2018 and beyond. If you’re going to own a jewelry stock, there’s no question which it should be. Sell Signet and buy Tiffany. It seems as though everyone in the food business had been making significant acquisitions in recent years except for Campbell Soup Company (NYSE:CPB). Well, it finally got into the action at the end of December by acquiring Snyder’s-Lance Inc (NASDAQ:LNCE) for $4.9 billion, the biggest deal in Campbell Soup’s 148-year history. Snyder’s-Lance brings to the table snack brands like Kettle Chips, Snack Factory Pretzel Crisps, and Cape Cod Chips, amongst others to go along with Campbell Soup’s Pepperidge Farm and Goldfish snack brands. While it sounds promising, long-time CPB shareholders have been consistently disappointed by the company not meeting its potential. Over the past 15 years, CPB has underperformed the packaged foods industry by 347 basis points annually. Article printed from InvestorPlace Media, https://investorplace.com/2018/01/10-super-bowl-stocks-buy-sell/.